I am no longer breeding rabbits. I found that I do not have enough time anymore for my rabbits with school and the band. I do not have anymore for sale, but this website will continue to be up, because it is a good reference. Keep with it, have fun, and love your animals! My cousin got me started in rabbitry. I bought my first rabbit for $5 at the pound, Bugs. I then bought the coolest rabbit at the Fair, but it died a week later. After that I bought a rabbit at a pet store, Aliss. 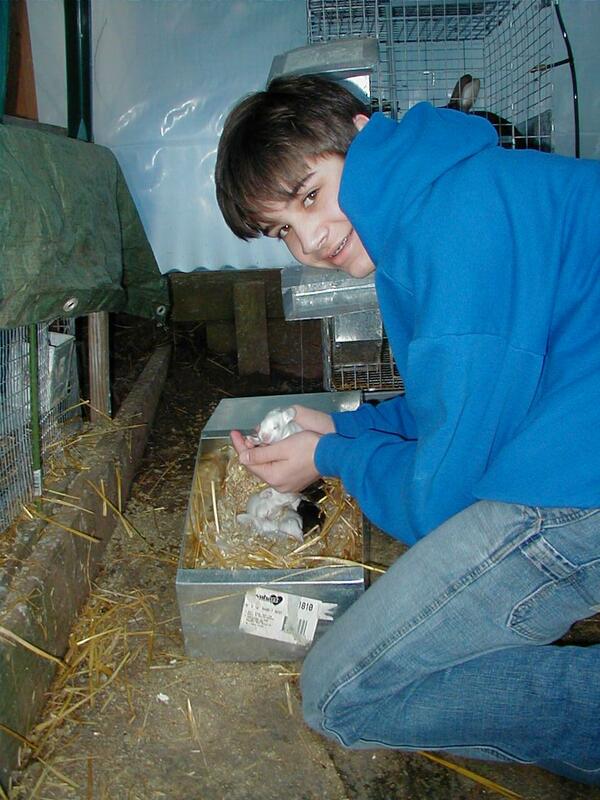 A year later I got interested in rabbit breeding. I did research and decided that Satins would fit my breeding system the best. I contacted a Satin breeder in McMinnville, Oregon, who is now focused on lops, and bought my first Copper Satin, Titan. About three months later I bought two White Satins from the same breeder, Casino and Pagan. February I had my first litter, a litter of 8. Welcome to St. George Rabbitry. Thank you for taking the time to visit omy website. I am a Satin rabbit breeder based in Eugene, Oregon. At the moment I have about 13 Satins. To see their pictures, check out Current and Past Rabbits. Thank you for visiting my website. Please do not let my age mislead you.